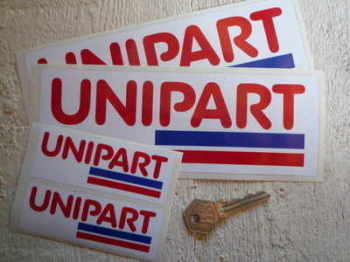 Unipart - I Say Ding Dong Shop - Buy Stickers, Decals & Unique Automobilia. British Leyland ST Unipart UJ Stickers. 6" Pair. British Leyland, Unipart & Coopers Element Sticker. 3.75". Unipart 'Red Dot' Style Oblong Stickers. 4" Pair. 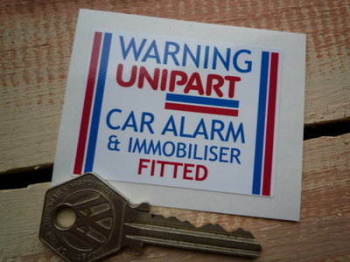 Unipart Car Alarm & Immobiliser Warning Sticker. 2.25". Unipart Car Security System Warning Sticker. 2". 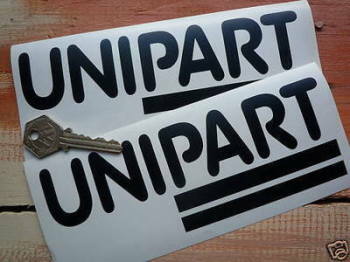 Unipart Cut Vinyl Stickers. 14" Pair. Unipart Cut Vinyl Stickers. 7" Pair. 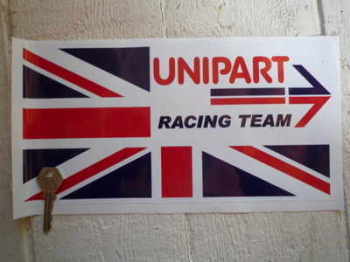 Unipart Racing Team Union Jack Sticker. 12". 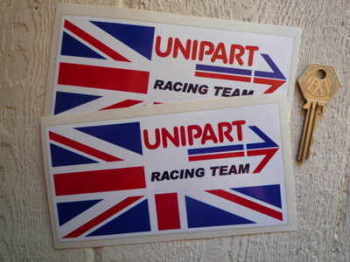 Unipart Racing Team Union Jack Stickers. 6" Pairs. Unipart Striped Oblong Stickers. 4" or 8" Pairs. Unipart Universal Anti-Freeze Sticker. 2". 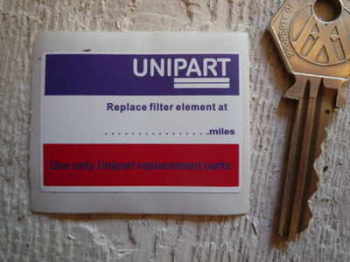 Unipart Windscreen Washer Component GWW 904 Sticker. 3".